It is really hard to keep up with two babies and two blogs, so I'll be combining our family blog and my craft blog into one! 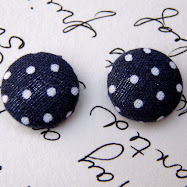 I know this blog has been neglected because I just don't have time to keep up with both of them, but hopefully now I'll be more motivated to post more tutorials and craft ideas on the new blog. 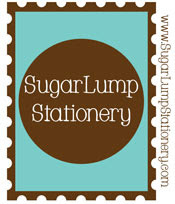 You can now visit us at www.ourhappylittlenest.blogspot.com. Hope we'll see you soon at the new website! Woo Hoo! Look who finally learned how to monogram! 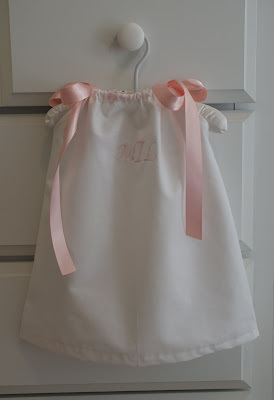 My mom and I spent 4 hours with her sewing machine last Friday afternoon because I really wanted to add a monogram to this pillowcase dress I had made my friend before giving it to her at her shower on Sunday. Now that we've figured it out, I've already started making a list of all of the outfits I want to sew for my girls. I made a quick run into Hancock Fabrics this morning and their embroidery thread was 50% off. I stocked up on every color I think we will possibly need and plan on having a monogramming party this weekend while my husband is off hunting. I hope to have some cute things to share this weekend! I've been dying to share this little doll the past several weeks, but she was a gift for a sweet friend who is expecting her first daughter so I had to keep her to myself until after the baby shower! 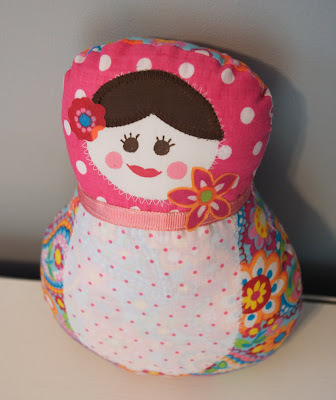 The theme for her nursery is inspired by the cutest matryoshka doll fabric so I made her this doll to go in the nursery. I hope it will be something she will love to play with! We've been in our house for almost 18 months and I'm finally ready to start decorating our living room. It needs a little freshening up. The two words that come to mind when I think about this room in our house are BLA and RECTANGLE. When we moved in, I just found a place for our furniture and have put little effort into making it a cozy and comfortable room for our family to spend time in. My major hang up has been our sofa. 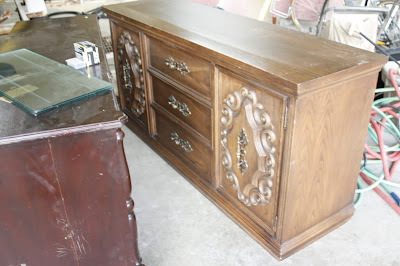 It was the first piece of furniture my husband and I bought together for our first home and I anxiously waited for weeks for it to be delivered. When the delivery men brought it into the house, I was SO DISAPPOINTED. The fabric that I choose when ordering the sofa looked white in the store, but the couch that was sitting in my den looked more like a yellowish buttercream! BLEH! For 4 years I have tried to decorate around this sofa, but let me tell you...NOTHING goes with yellow buttercream. I forgot to take a "before" picture of the couch. Just to give you an idea, imagine an entire couch the color of this pillow. See what I mean? It isn't a white or a khaki or a cream. The nicest thing I can call it is yellow buttercream. Do you see a theme developing here? 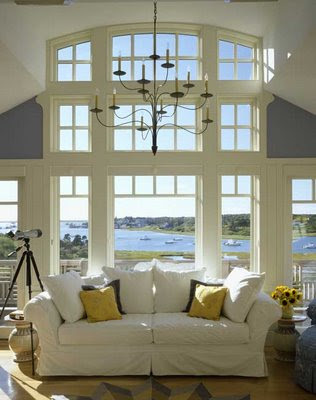 I didn't even realize I was picking out all pictures with white sofas until looking at them all at one time. I guess I'm just drawn to that look. However, I couldn't justify buying a new sofa when ours is in perfect condition. Next thought, "I'll have it slipcovered." After getting several quotes I realized that having it slip covered would be just as expensive as buying a new one. Then I had the grand idea of sewing my own slipcover. Ha! I tried practicing on a chair first and quickly became discouraged. (Have I mentioned before that I like my projects to be quick and not too involved...following a pattern is not my idea of fun). Then one night when I was about to drift off to sleep, I had a crazy idea. I was too excited to relax so I had to jump out of bed to go measure my couch. I remembered seeing a couch on the Ikea website that looked almost identical to my Broyhill sofa. Could I dare to hope that the two sofas were close enough in size that the Ikea slipcover would fit on my couch????? I ordered Ikea's slipcover and hoped for the best. As soon as UPS delivered it, I tore into the package and immediately started trying the slipcover on piece by piece, holding my breath as each cushion fit perfectly into the slipcover. I didn't let myself get too excited until I put the slipcover over the actual sofa part and wouldn't you know? IT FIT!!!! The girls just watched me in awe as I squealed and danced around the room. Our yellow couch is gone and in its place is a beautiful white sofa!! And even better, it is slipcovered so when it gets dirty (and it will with babies and toddlers climbing on it all day long) I just have to throw it in the wash and it will be clean again. This is the only picture I have of it right now. I'm picking out fabric for pillows and window treatments and will hopefully have the room ready for pictures soon enough. I just wanted to post this idea so that if there are other people with the same predicament that I was in, they can consider this as an option. 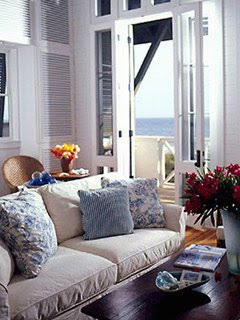 The slipcover was for Ikea's Ektorp sofa, which is a very basic and common design that many people have. This idea could also possibly work for recovering chairs if they were close enough in size. I LOVE this fabric (Gypsy Spring) and found some online to make the dust ruffle and had enough left over scraps to recover the shade on the floor lamp. 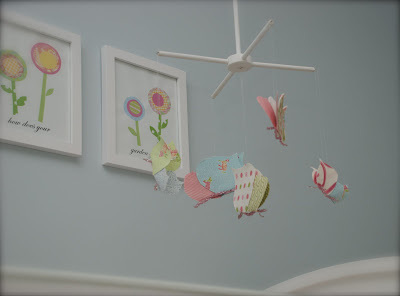 For artwork over the crib, I replaced the sailboats with a set of flowers that I also created using leftover scrap-booking paper I had from previous projects. All four prints together say "Mary Mary quite contrary how does your garden grow?" and I love the way they coordinate perfectly with her butterfly mobile. 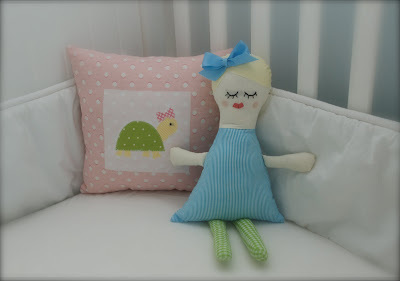 Her room wouldn't be complete without a Rosie Posie doll, and I snagged this pillow from Anna Cate's room (which is STILL a work in progress) for now to use in the crib. 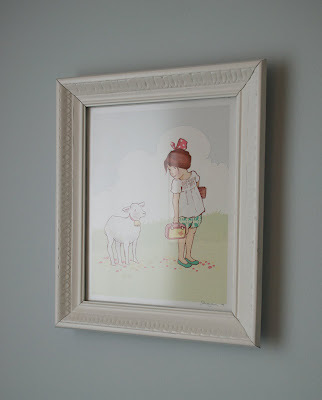 This print from Sarah Jane Studios is another one of my favorite things in her nursery. I found the frame from Goodwill for 50 cents and gave it a facelift with some white Krylon paint. I love the little detailing on the frame - it is subtle, but adds just a little character to picture. 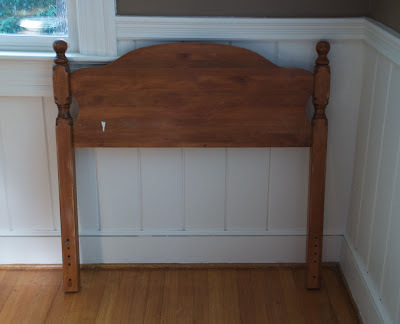 This little shelf hangs over the dresser we also use as a changing table. I'm looking for a white mirror to hang over the dresser, but for now, this is how we have the little shelf decorated until I can find just the right mirror to replace it. 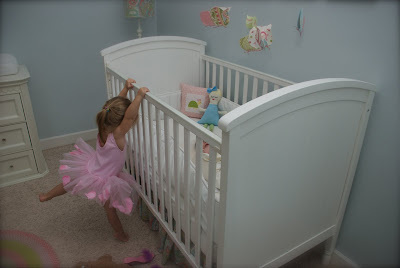 And last, but certainly not least, this is probably my most favorite thing about her nursery...the little ballerina who can't seem to leave her little sister alone long enough for her to even take a nap! 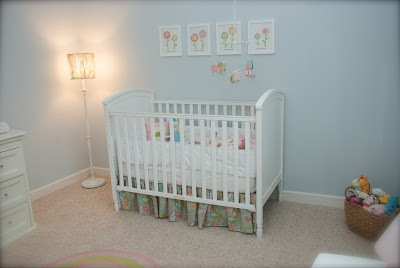 Caroline's crib is the first place Anna Cate runs in the morning to get her sister up and she constantly is asking to get her while Caroline is napping. So sweet! I have become obsessed lately with all things related to home decor. We have been in our house for over a year and a half and I have yet to decorate it. While looking for ideas and inspiration, I stumbled across this blog, Life in the Fun Lane and am in awe of the vision this girl has! 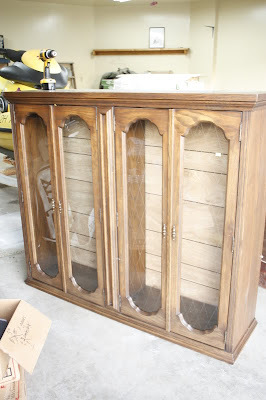 I'm all about shopping at Goodwill and thrift stores, but I have to admit that I most likely would have walked right past these two pieces without a second thought. 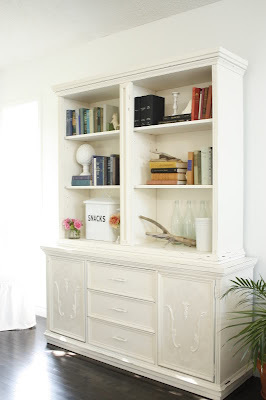 Another great blog full of ideas and inspiration for decorating on a budget is The Nesting Place. If you are in need of any ideas for your home, you should definitely check these girls out! I had planned to post a picture and tutorial of a cute apron, but my camera battery died and I have no time to charge it and get a picture of the apron before my two little ones wake up from their nap, so instead I'll share a quick project I did this past weekend. Anna Cate destroyed the first headboard I made for her room several weeks ago during her nap time. You know, the one I made from foam board? I had to strip her room of all of toys because she plays with them when she is supposed to be napping. 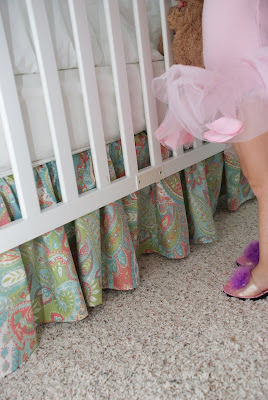 Because she couldn't find a toy or book to play with, this particular afternoon she decided to see what else she could occupy her time with and decided on her headboard. When I went to get her up from her nap, it was bent over in half. So much for that idea. 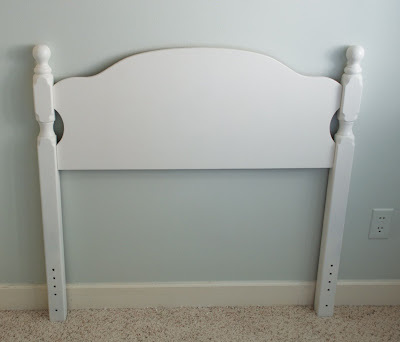 Lesson learned: Never make an upholstered headboard for a toddler's bedroom!